Leonid MAC - Dorothea Klumke and the 1899 Leonids. 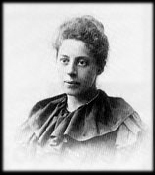 Over one hundred years ago, American (San Francisco) born astronomer Dorothea Klumpke (1861-1942) was the first women to observe a Leonid Meteor Storm from above the Earth. Below are excerpts from published reports about her adventure. I hope her deeds inspire you and that you remember Dorothea when viewing the full moon and Leonid Storm of 2002 on November 19th. -- Sky & Telescope, August 1986, vol. 73 no 2, pp 109 by Kenneth Weitzenhoffer. The balloon La Centaure, bathed in the light of the full Moon, rose over Paris into a bitter wind a few minutes before 1:00 a.m. on November 16, 1899. Its task was to take an astronomer above the autumn ground fog to observe the last great sky show of the 19th century, the Leonid meteor shower. Nearly a century before a twentieth century international collaboration sent a spacecraft to Comet Halley, scientists from Russia, Germany and France made plans to launch balloons so that astronomers could observe the Leonid meteor show of mid-November 1899. "I do not know what good fairy overheard my wish to take a trip in the blue sky." Dorothea Klumpke wrote of her voyage in La Centaure. "My surprise was great when I learned the French Society of Aerial Navigation had chosen me for the astronomical expedition of the Leonids. After reflection I accepted the unexpected invitation. I had the great mysterious and alluring anticipation of an ascent in a balloon." The Leonids, magnificent in their displays of 1799, 1833, and 1866, were confidently predicted to fill the skies with shooting stars once again. But these predictions fell far short of reality. By 1:00 a.m. on November 16th, as Klumpke waited to go aloft in La Centaure, she already knew of the disappointing reports from a flight on the previous night. Undaunted that the Leonids had failed to appear, she resolved to go ahead with her planned program. La Centaure, carrying the balloon's pilot, a secretary, and Klumpke, ascended to a height of more than 1600 feet and drifted westward over Normandy towards the English Channel. They saw 30 meteors during five hours of observing, of which half were Leonids. Seven hours after launch La Centaure made a dawn landing near a small coastal village. The three voyagers, who had logged 176 miles at an average speed of 25 miles an hour celebrated with a breakfast of cold chicken and champagne. The flight brought Klumpke accolades as the leading woman aeronaut of France. The seven hour flight was a scientific disappointment: only 15 Leonids were observed. But it was a great milestone for women in science, because the astronomer aboard the Centaure was Dorothea Klumpke. At age 38 she had become the first woman to make astronomical observations above the earth's surface, augmenting an illustrious career that would continue well into the 20th century. After her dramatic flight aboard La Centaure, Dorothea had found herself back "...safe in my little student's room at the University of Paris ... my body seemed lighter than ever, and I had the sensation of floating in air, and my heart was filled with gratitude." These words of joy are the best valediction for this true pioneer astronomer, whose spirit lives on in today's woman astronomers. Dorothea Klumpke had a spirit of adventure and initiative which is evident by her success at which was at that time a predominately male field. It is also illustrated by her ascent in a balloon on the night of November 16, 1899, to watch for the expected return of the Leonid meteors, which she described in an article in the Century Magazine in 1900. The astronomer Pierre Janssen of the Meudon Observatory had selected her as the observer for this flight, and she was overjoyed at the opportunity. She prepared some warm clothes, and on the evening of the 16th met with the two balloonists who would accompany her. About midnight they climbed into their small basket (five feet long by three feet wide) and around 1 a.m. they lifted off. The sight of the city of Paris from the air was glorious. They tossed off ballast sacks, rose to an altitude of 1600 feet, and drifted westward. The sky was clear and pure, and despite the light of a nearly full Moon, fifth magnitude stars were visible. The meteor observations were a disappointment, only 24 meteors were seen from 2 - 6 a.m. But the experience was one never to be forgotten: "Never before had nature seemed to me so grand, so beautiful." At sunrise clouds came up and soon it was overcast. The captain brought the balloon down to about 300 feet above the ground, as they sailed west at about thirty miles an hour, seeking a good landing spot. At around 8 a.m. the balloon came to rest in a meadow near the sea, 176 miles from its starting point. Dorothea wrote that all three occupants were "inwardly enriched a thousandfold by the wonderful experiences of the past night." Aitken, Robert "Dorothea Klumpke Roberts" in Publications of the Astronomical Society of the Pacific, Dec. 1942, vol. 54, p. 217. Bracher, Katherine "Dorothea Klumpke Roberts: A Forgotten Astronomer" in Mercury, Sep/Oct. 1981, p. 139. Klumpke, Dorothea "A Night in a Balloon" in Century Magazine, vol. 60, p. 276 (1900). Reynolds, J. "Dorothea Klumpke Roberts" in Monthly Notices of the Royal Astronomical Society, vol. 104, no. 2, p. 92 (1944). Weitzenhoffer, Kenneth "The Triumph of Dorothea Klumpke" in Sky & Telescope, Aug. 1986, p. 109.